When deciding on a new career it is important to fully understand what you will be doing in your new job. Equally as important (and probably forgotten the majority of the time) is to research the future outlook of your new career. What is the demand, how hard will it be to get a job after training, are there any growth opportunities. It would be a waste of time, effort and money to go through schooling for a career in a shrinking job market. It is also pointless if you end up not enjoying your work because you didn’'t understand what exactly the new career entailed. So do your research beforehand! 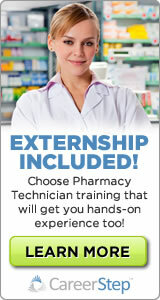 An excellent place to start is right here at PharmTechTraining.net. Other great resources include the US Department of Labor Occupational Outlook Handbook and the Pharmacy Technician Certification Board (PTCB). Job Description for more details on what pharmacy technicians do on a day-to-day basis. Salary for more details on the salary range for pharmacy technicians. Job Outlook for more details on the growth and demand for pharmacy technicians. Qualifications for more details on the qualifications needed to become a pharmacy technician.